Today, I give you a rare book review (yes, I still read sometimes). 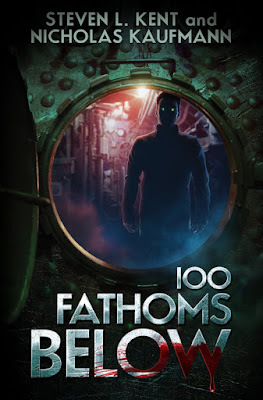 Several months ago, Blackstone Publishing was kind enough to send me a copy of Steven L. Kent & Nicholas Kaufmann's new book 100 Fathoms Below with a premise so intriguing I couldn't say no. Deep under enemy waters during the Cold War, the crew of the USS Roanoke realize that a vampire has slipped aboard. With no sunlight to protect them, how long can they survive? The first thing I noticed when reading 100 Fathoms Below was how cinematic it felt. Kent & Kaufmann's descriptive voice facilitated a world that required very little effort on my part. I would not be surprised if this were adapted at some point because most of the heavy lifting's already done. Despite vampires being the most prolific baddie in movie history, this story was rather unique, the closest thing I can recall being David Twohy's underrated 2002 effort Below. As cool as the “vampires on a submarine” tagline is, there's actually more to the book than just bloodsuckers. 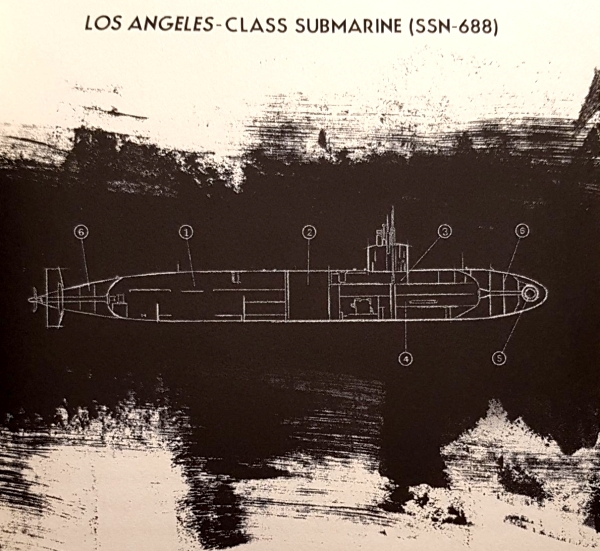 Kent & Kaufmann must have done exhaustive research about submarines, as you get really got a sense of the confined spaces and routines. In fact, so well studied were they that I actually found the parts where the USS Roanoke attempted to stay undetected by Soviet vessels even more intense than the stuff that comes later. 100 Fathoms Below also has a large cast of characters made of up of officers and enlisted men that was balanced in such a way that you didn't immediately know who was going to make it to the end, if any. Jacket comparisons to The Thing were somewhat apt, although I felt like there could've been more mystery involved in who was turned and who wasn't. It's not really a complaint, just more of an acknowledgment of a missed opportunity. 100 Fathoms Below's back half played out more like a zombie plague than John Campbell's Who Goes There? 100 Fathoms Below was an extremely brisk and entertaining read that delivered on its delicious premise. For those looking to dive in, the book releases tomorrow (Oct 9th) through Blackstone Publishing.